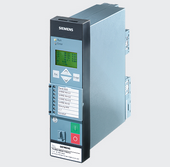 Siemens has informed customers that some of the company’s SIPROTEC protection relays are exposed to denial-of-service (DoS) attacks due to a couple of vulnerabilities present in the EN100 communication module. SIPROTEC devices provide control, protection, measurement and automation functions for electrical substations. These products use the EN100 ethernet module for IEC 61850, PROFINET IO, Modbus, DNP3 and IEC 104 communications. Researchers at ScadaX, an independent group of experts focusing on ICS and IoT security, discovered that the EN100 module and SIPROTEC 5 relays are impacted by two DoS vulnerabilities that can be exploited by sending specially crafted packets to the targeted device’s TCP port 102. Exploitation of the flaws causes the device’s network functionality to enter a DoS condition, which Siemens says compromises the system’s availability. Manual intervention is required to restore the impacted service. An attacker needs access to the targeted organization’s network and IEC 61850-MMS communication needs to be enabled in order to exploit the flaws, but no user interaction is required. The vulnerabilities are similar, but one of them, tracked as CVE-2018-11451, has been classified as “high severity,” while the other, CVE-2018-11452, which impacts the EN100 module if oscilographs are running, has been rated “medium severity.” Siemens noted that SIPROTEC 5 relays are only affected by the more serious flaw. Siemens has released firmware updates for some of the impacted devices to address the flaws, and advised users to block access to port 102 with an external firewall to prevent attacks on systems for which patches have yet to be made available. Industry professionals have often warned that DoS vulnerabilities are far more severe in the case of industrial control systems compared to regular IT systems due to the fact that they impact availability, which is a top priority in industrial environments. In the case of Siemens’ SIPROTEC relays, the threat is not just theoretical. Researchers reported last year that the attackers behind the Industroyer/Crashoverride malware, which was linked to the December 2016 attack on an electrical substation in Ukraine, had also developed a DoS tool that exploited CVE-2015-5374 to cause SIPROTEC relays to become unresponsive.